It wouldn’t be the holidays without internet nutjobs stirring up pointless controversy. Thus we have alt-right trolls organizing a boycott of Rogue One: A Star Wars Story, the first Star Wars movie about regular people fighting the Empire. In the weeks leading up to Rogue One’s Dec. 16, 2016 release, the alt-right — let’s just call them what they are, fascists — got into a Twitter war with screenwriter Chris Weitz. “Please note that the Empire is a white supremacist (human) organization,” Weitz had tweeted. The fascists urged fans to #dumpstarwars. Weitz deleted his tweet. Mark Hamill said Luke Skywalker is gay. Guerilla artist Sabo plastered pro-Trump Star Wars parody art all over Hollywood. Conspiracy theorists claimed Disney had ordered reshoots of the film to include an anti-Trump message. They say they don’t want anyone politicizing Star Wars. But here’s the thing. Weitz is wrong about the Empire. The Imperials aren’t white — or even human — supremacists, but they are fascists. And the rebels battling them are anti-fascists. That’s the real reason the alt-right doesn’t like this new batch of Star Wars films. In the twisted minds of internet fascists, the Empire and its successor group the First Order are the good guys. And worse, the new films reveal the First Order and the fascists for what they are — whiny, regressive manchildren. General Hux has a first order control fetish. It’s easy to disprove Weitz. Reddit did it real quick. Over at the “Empire Did Nothing Wrong” subreddit — a hive of scum and villainy where the galaxy’s pro-Empire redditors hang out — user Diamond_Authority laid out the case … and it’s pretty compelling. Diamond_Authority pointed out that the decidedly non-human Mas Amedda served as a grand vizier of the Empire under Palpatine. Plus, Zare Leonis experienced no discrimination during her time at various Imperial institutions — and Delian Mors married a woman and served as a moff during the Clone Wars. The Empire is a diverse organization that accepts all races, genders and sexual orientations. You don’t have to be any type of person to succeed. But you do have to be a fascist. The Empire and the First Order explicitly advocate political control through force. Freedom is fine … as long as it’s freedom at the end of a gun. This nationalist-stoked Star Wars controversy isn’t about social justice warriors. Not really. It’s about internet trolls identifying with the Empire … and their shame at how silly the new movies make space fascism seem. Richard Spencer and his crop of hipler-haired followers are fascists. The National Policy Institute expresses fascist ideas and Spencer used the Nazi salute during a recent rally. The Empire — and especially the First Order — is a bunch of space Nazis. The First Order — like Spencer and the other alt-right crazies — is mostly angry young men who are pissed at their diminishing political power. They adopt the fashion and political ideology of previous generations and attempt to co-opt the fear these things evoke. But terrifying superweapon aside, they’re really just a bunch of whiny babies. Like Darth Vader is. 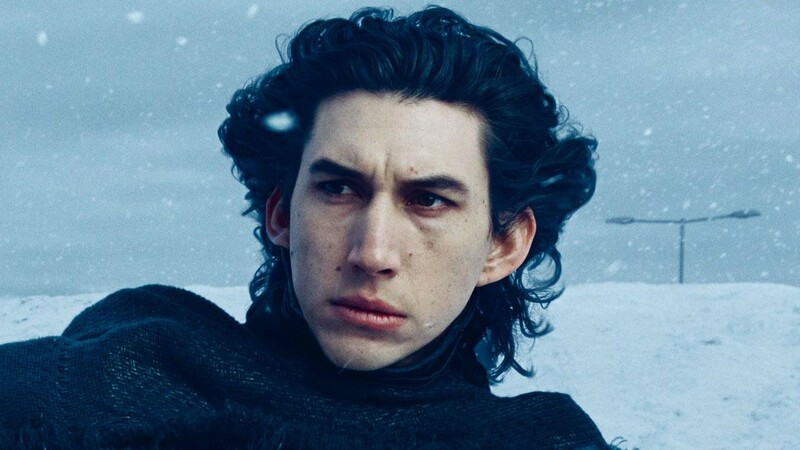 Look at Kylo Ren. He loomed over the first half of The Force Awakens as a terrifying presence dressed in black, strong in the Force. He’s adept at torture, reads mind and repeatedly lashes out in anger. He’s a great villain. And he becomes a great character when he takes off his mask halfway through the film and reveals himself for who he really is — an emo kid with daddy issues. He’s obsessed with power, worships his dead grandfather and whines his way through the back half of the film. It’s great, because it’s true. One of the things I’ve always admired about the Star Wars films is their complex and surprisingly true depiction of the power-hungry. Ren, Gen. Armitage Hux and even Vader are big babies. They cling to power and aim to dominate other people, all because they lack empathy and self-control — just like real fascists do. The world wounded them … and now they think the world owes them for that wound. The thing I love about the Star Wars prequels, and what I know many fans hate, is the way they revealed the biggest bad guy in the entire galaxy to be a brooding, power-hungry teen. That’s the way it always is. Inside every dictator, fascist and strongman beats the heart of a little boy. What an alt-right troll would do with power. An art school rejected Adolf Hitler and that shattered his confidence. Germany’s acquiescence in World War I stoked his hatred of what he perceived as weakness. Weakness he surely loathed when he, a drug addict, saw it in himself. Benito Mussolini was insecure with his own station in life as well as with Italy’s place in the world. He dragged his country into a war to prove that it, and he, was powerful. Donald Trump fears humiliation — and ran for president a second time after Pres. Barack Obama mercilessly mocked him during the 2011 White House Correspondents’ Dinner. Ren couldn’t handle the power he inherited from his deadbeat dad, so he turned to the Dark Side — both to control himself and to exert control on a world he feels wronged him. The alt-right Nazis dwelling in basements and posting on forums feel the world owes them, too. They’ve watched the world change. Watched women and minorities gain acceptance. Now they want to turn back the clock. Women have starred in two Star Wars films in a row, God forbid. Both the First Order and online fascism reflect reactionary philosophies that want to restore a version of the past that, in fact, lives only in the minds of ideologues such as them. That’s why the alt-right has turned against Rogue One and Star Wars in general. Rey, Jyn Erso and the rest threaten the masculinity of the movement — and Ren and the other villains reveal the First Order and Empire for what they are. A bunch of whiny cucks.